Almost everybody I know has walked a beach while looking down for treasure. Some people treasure shells, others sea-glass and a unique group even searches for cod stoppers, those marbles used to seal carbonated beverages before crown caps were invented. A few, especially young people, openly admit that they are looking for pirate treasure. I won’t laugh because I personally believe that people have a better chance of finding pirate treasure then winning a big lottery and it doesn’t cost anything to look down at the sand while getting your exercise. I hear stories of people finding valuable jewelry on the beach or in the sea on a regular basis and I pretty much have to accept it as true. This stuff is not the illusive “Pyrate Treasure” of old but items lost by careless tourists who should have left their expensive trinkets home because very few residents are truly impressed by bling. One friend walking on the beach found a $2,500 diamond ring so it occasionally pays off to be observant. He sold it to a local jeweler who probably resold it to a tourist for much more. Moving upscale from observant people hoping to get lucky are those people who enjoy treasure hunting so much that they invest in a metal detector. I have met a few people who actually go on vacation with their metal detectors hoping to get lucky and pay for the trip so they can go on another vacation sooner. Another friend who has been doing this in tourist areas of St. Croix for a decade has found tens of thousands in Jewelery but the earliest treasure is from the Danish Colonial era and no pirate treasure. By far the largest population of these dedicated amateurs with metal detectors I ever met was along the coast of the Outer Banks after a hurricane had passed and churned up the sea. In this area, hundreds of ships sunk over the centuries and some were certain to have treasure which might be washed up after a storm. In addition roving bands of outlaws used to create false beacons of hope on the islands by lighting fires along the dune ridge hoping to lure in ships which would run aground during storms. This is not really pirate treasure but gold and silver knows no name. I once met met a vacationing treasure hunter with a metal detector on St. Croix and he was sort of a secretive non communicative person. He walked the beach for days and he did find a couple of pieces of interest to him, including something which appeared to be a two ounce lump of silver. Hardly enough to pay for his trip. I should have told him that his chances of finding any gold was zero to none. He was walking in the wrong place and rule number one is; if there were no pirates in the area, there will be no pirate treasure. He was walking a beach protected by an offshore reef with the water between the reef and the beach hardly deep enough for a canoe. There are no caves, or permanent markers like huge boulders along this portion of the coast so anything buried would be pretty much lost forever. 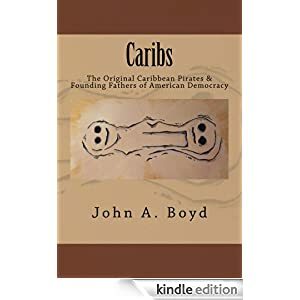 Even the Amerindians in St. Croix never inhabited the area where he was walking because there was nothing there to attract them. The big difference between amateur treasure hunters and professionals is the amateurs are hoping to get lucky while the professionals are more likely seeking wealth through knowledge. Mel Fisher was a chicken farmer from Indiana who followed his dreams. Not only that, but he had his whole family share his vision of underwater expeditions and hunting for sunken treasure. His first venture was the creation of the post World War II scuba diving industry in California and he had his Mother, Father and Wife work alongside him as the Fishers started a family and a business at the same time. After he was firmly established, he decided to move to Florida and become a Treasure Hunter. He convinced his family and six of his friends that this was a great way to earn a living. He did not make this decision on a whim but only after diving on several wrecks and meeting and partnering with Kip Wagner who was already established in Florida and somewhat successful. Wagner had the local knowledge of Florida legends and lore that Fisher lacked and Fisher had the technical expertise that would help Wagner. Together they were very successful. As the salvage company grew and became successful, they hired an archaeologist to research records and provide more knowledge of how eighteenth century ships were constructed. They needed to know how the ships would come apart and scatter treasure over a large area when they sank. During the 1960’s and 70’s, there were several Treasure Hunters in the Florida Keys and they got along with each other and socialized. At one party someone took out a copy of John S. Potter’s “The Treasure Diver’s Guide”, in which the Nuestra Señora de Atocha was described as one of the richest shipwrecks ever lost and the location was noted in the book. The Fishers were living in Islamorada which Fisher thought was near the site described in the book and he started searching for the wreck. Fortunately for him, he met a graduate student, Eugene Lyon, who was going to Spain to study the Spanish archives. Fisher offered Lyon $10,000 and a share of the Nuestra Señora de Atocha treasure if he could find out where it was located. Lyon discovered that there had been a 1622 attempt at salvage and Fisher was diving in the wrong place. Based on the 350 year old record, the center of operation was moved 100 miles South West and the discovery and salvage of the Nuestra Señora de Atocha is now history. It was probably the richest prize ever found. Mel Fisher has since died but Dr. Eugene Lyon is a college professor and still looking for sunken treasure in the archives of history. Perhaps the most interesting buried treasure discovered since then is the wreck of the Whydah discovered in 1984 in shallow waters off of Cape Cod. What makes this find unique is that it was a know pirate ship with unfathomable wealth. 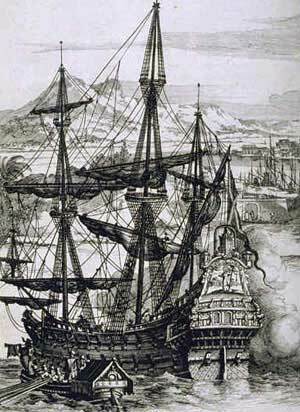 When the ship sank in a northeaster in 1717, Governor Samuel Shute commissioned Captain Cyprian Southack, a local salvager and map maker, to recover “Money, Bullion, Treasure, Goods and Merchandizes taken out of the said Ship.” Witnesses at the time said that the treasure on the ship had been divided into 180 lots or roughly one for each sailor. Total value bout $200 million at todays value for precious metals. Barry Clifford was able to find the wreck because he researched the legends using the historical archives. He then relied heavily on Southack’s 1717 map of the wreck site and found the Whydah, which had been buried for 267 years covered with just five feet of sand below only14 feet of water. Historical research pays off and contemporary Treasure Hunters rely on the library and technology more than their diving skills to locate the treasure. When I walk, I wonder about all that I am seeing. My love of our medicinal plants made me curious about the people who brought them to St. Croix. 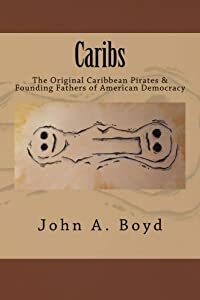 That got me to research the Caribs and ended up with the publication of my book, “Caribs:The Original Caribbean Pirates & Founding Fathers of American Democracy” which is available in a (Kindle Edition) and (Paperback Edition). Naturally, I now walk on the paths of the Caribs and Taínos. Having completed that project and finding the evidence that the Caribs and pirates worked together, I have become curious about the pirates and am researching and walking along their paths. wondering what they did with the plunder they acquired. Even, if I never find any of their treasure, I will most certainly find enough information to make a good story to tell to everybody I walk with and I probably have enough for a book on the Pirate Treasures of St. Croix. This entry was posted in Uncategorized and tagged hiking, Hiking with Children, Pirates, St. Croix Hiking, St. Croix History, Treasure, walking. Bookmark the permalink.